Do you remember when I said I had 15 egg whites in the freezer? Well, I don't anymore and these pictures are the proof. I have been wanting to make a angel food cake for awhile now, but haven't ever been able to accumulate enough egg whites-whose yolks were being used, to make a full-sized one. Thanks to the lime curd, multiple ice creams and so on, I finally had enough egg whites and a reason to make the cake. 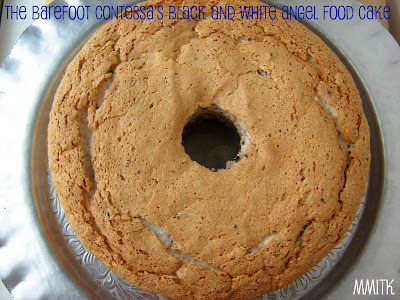 I was providing the desserts for a church gathering( I ended up making 7 desserts) and most of the treats I made were smaller, individual sized items, but I really thought this was a great time to make the angel food cake. I don't really ever watch tv, but somehow I happened upon the food network and an episode of the Barefoot Contessa was playing. She was making this angel food cake. She made it look so easy and also said something about how angel food cake needs a little sprucing up and after watching her grate the semi-sweet chocolate and add it to the batter- I completely believed her. Plain old angel food cake was not going to do. I needed to make her cake with the tiny shreds of semi-sweet chocolate in the batter and the decadent ganache on top. I didn't really have time to get a great photo of this, but it turned out absolutely perfect. I was kinda scared because the day I made this it was raining cats and dogs and I was paranoid that somehow that was going to make my cake deflate or ruin the texture, but it was perfect. I also like that she has you measure out the amount of egg whites, instead of using an exact number. This recipe was easy and so delicious. I thought the ganache on top was the perfect way to finish it off. So, if you have 11 or 12 egg whites in the fridge or freezer, here is a way to put them to good use. I actually can't wait until I have that many to use again, because this cake is delicious! 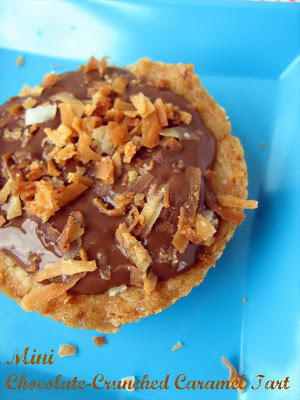 elsewhere on the internet if you search for Dorie Greenspan's Chocolate-Crunched Caramel Tart. I know because I wanted to see more pictures of this one and I googled it. This is the sort of dessert that you would probably want to serve at a large gathering. A dinner party (like Wendy did) or at the end of your book club meeting (Nancy). Some function that would benefit from a full-sized tart. I knew that I would not be making this for that sort of function. Just because, well mainly because there was no such function to attend in a certain time frame. I also knew that I had some leftover cookie dough in my freezer from when I made Toasted Coconut Shortbread. A family of five just can't eat a whole batch of cookies at a time. Well, probably can, but shouldn't, so I had some cookie dough I needed to use. I figured since we already had chocolate and caramel going on in this one, I might as well add some coconut. And please don't forget about the honey-roasted peanuts that are mixed into the caramel. I had just enough cookie dough to make 5 little tarts in my muffin tin. Did I mention there are 5 of us? just kidding- I know I just mentioned that. It worked out just perfectly. Except I forgot to weigh down the cookie dough with something, so it puffed up like crazy. I had to cut out the middle of my cookie/tart thingies, so there would be a little room for some caramel and chocolate. I used milk chocolate in my ganache because my husband always think that ganache is too bitter with semi-sweet and bittersweet chocolate and I really wanted him to eat one of these little minis. I also sprinkled a little toasted coconut on top, before I put these in the fridge to set. Kids loved it. They wanted to skip dinner and just move straight to the tarts. It reminded me of a Twix candybar, but of course, much more delicious. So, on second thought, don't wait for some sort of special occasion, since in reality everyday is a special occasion. Make this just for the heck of it. Whoever gets to taste a bite will be appreciative! 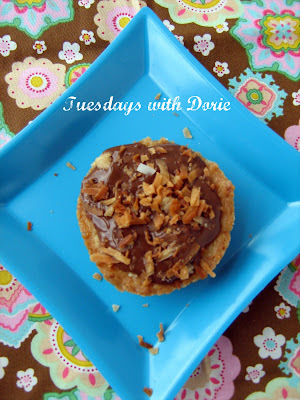 Go and check out what all the other Tuesday's with Dorie Bakers did when they made this tart! My kids are always asking me to make cinnamon rolls for breakfast. 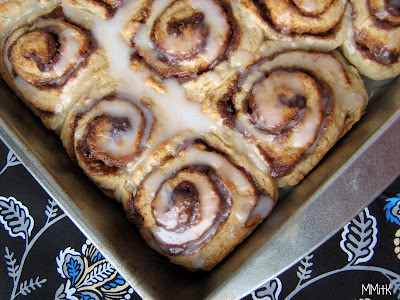 I like making warm, delicious breakfasts, but I think I would have to get up at 4 am to have warm cinnamon rolls ready on a school day. A few years ago, I might have sacrificed my sleep and gotten up that early, but the older I get, the more sleep I need or the less willing I am to sacrifice my sleep for baking. Go figure! We barely wake up in time to make it to school, so I was trying to find a quick alternative to traditional cinnamon rolls. 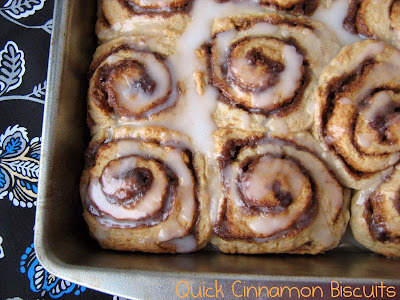 I was asking people on Twitter if they had any fast cinnamon roll recipes and Sarah, who has a wonderful blog- Blue Ridge Baker, told me about these Quick Cinnamon Biscuits that she found on Rebecca's blog- Ezra Pound Cake. 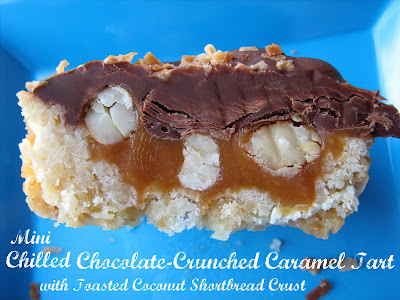 Check out Sarah's post about these too- she topped them with a maple caramel sauce. Yummy! I looked over the recipe and had everything I needed to try them out. I made them on a Sunday morning and sure enough- they were ready in a flash! You mix the dough together in a bowl and it is ready in, maybe 2 minutes or something? They are super easy to fill and roll, too. The filling has nutmeg and cinnamon mixed with the brown sugar which I think really adds a little something special to these. The recipe says that it yields 9 biscuits/rolls, but I got 12. They do not taste exactly like a cinnamon roll that is made with yeast dough, hence the word biscuit in the recipe name, but they made my children very happy. 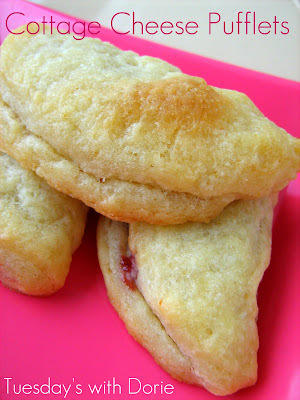 If you do make these, know that they will have the texture and taste of a sweet biscuit. I could totally get these ready on a school morning. There is hope for me. 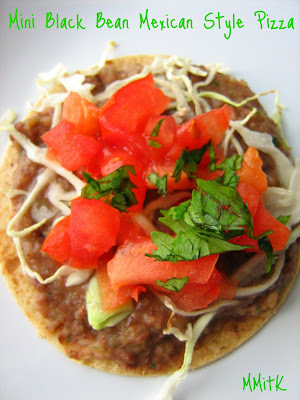 You should try these- they are easy and delicious! I saw this recipe in Everyday with Rachael Ray Magazine. Every month there is a feature in that magazine, I think it is called Kid Zone, and it showcases a recipe that is easy enough for kids to make with a little bit of help. I thought this Warm Seven-Layer Salad looked really good and loved how there were different veggies/ingredients than the usual ones that you would see in a salad like this. I also liked the fact that it was served warm, so it would make a great dinner. Now, this recipe starts out with cooking bacon and then cooking the green beans and summer squash in the bacon fat. Sorry- ya'll, I just couldn't do it. I don't like cooking real bacon and I certainly am not going to cook vegetables in bacon fat. I don't have anything against people or recipes that use this method, I just wasn't excited about that at all. I don't like bacon. I decided to buy the precooked bacon that you just warm in the microwave and crumbled that for the top. I just sauteed my green beans and summer squash with a little water, cooking spray, salt and pepper. It worked out fine. I also warmed my beans with these veggies. 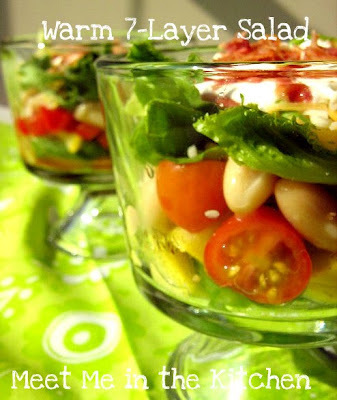 You layer the cooked green beans, summer squash, tomatoes, white beans, romaine lettuce, and sprinke some shredded cheese (I used a combination of cheddar and mozzarella) on top of those layers. Then you top that with a dollop of plain yogurt and sprinkle some crumbled bacon pieces on the very top, to finish the whole thing off. I made mine into minis, so that everyone had their own serving and we all really liked this combination of veggies turned salad. 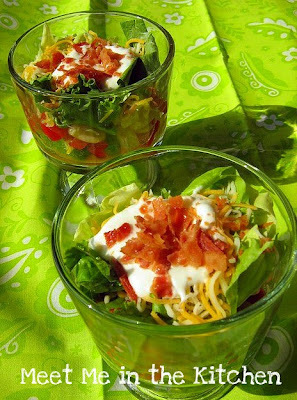 The fact that the green beans, summer squash, and white beans were warm added a nice contrast to the crisp, coolness of the romaine lettuce and tomatoes, which was again contrasted by the yogurt and bacon. Lots of flavors that really complimented each other. This was good! And the kids enjoyed layering their own servings into the mini trifle dishes. I will make this again. It would be great for a potluck or get-together. Back in the spring, I had the chance to choose the bonus recipe for Barefoot Bloggers. I am no longer a part of that particular cooking group, but at the time, I could not find Broccolini anywhere! It was so frustrating. I must have checked at 6 or 7 different stores and just gave up. 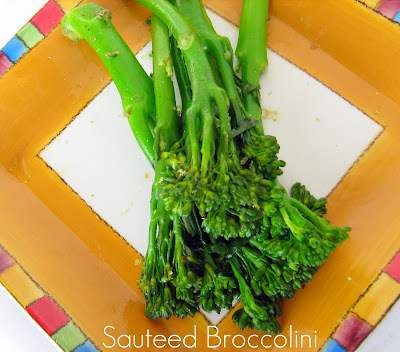 So, imagine my surprise and excitement, 6 months later when I spotted Broccolini at Publix! As soon as I saw it, I decided that I would make this very easy, Barefoot Contessa side dish and find out exactly what I had missed. Well, if you have had Broccolini, then you know that it is delicious! This recipe is so easy. It takes only a matter of minutes. First, you blanch the broccolini and then, you saute it with a little garlic and lemon zest, except I didn't have a lemon, so I used lime. It was soo good with the lime zest. 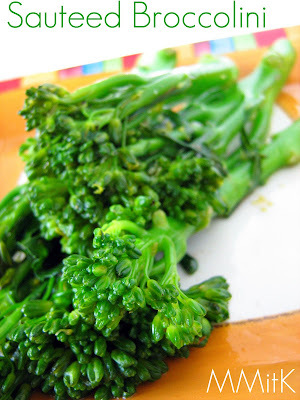 The best thing about broccolini, is that you can eat the entire stem and it tastes good. It is 20x better than normal broccoli. We ate ours with our fingers, while we were having a picnic in the front yard, with pizza. My kids went crazy for it, but who doesn't love finger food? 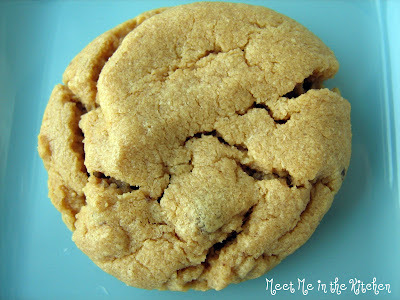 Cookies make a great after-school snack, which is what these pb cookies were. 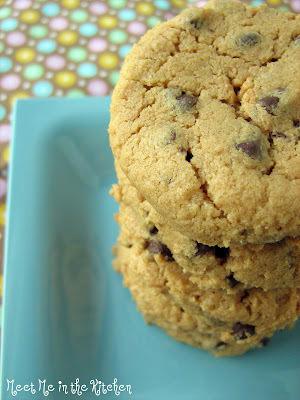 Cookies actually make a good anytime snack. 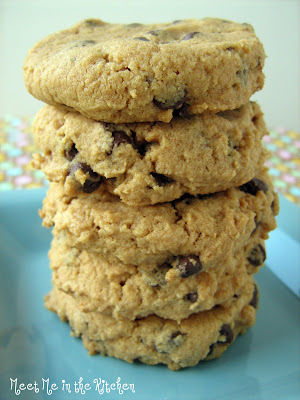 My 2 year old is always begging me to make cookies and one day after the begging, I decided to find a quick recipe that I would be able to make before we had to pick up J from school. 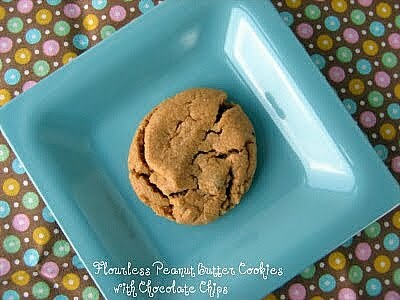 These flourless pb cookies were the ones! 6 ingredients- no softening of butter, well, because they don't have any butter in them or flour, for that matter, and you just stir them together all in one bowl. Besides, who doesn't like peanut butter and chocolate? The cookies that I rolled into balls like the recipe said to, had a smoother shape than the ones that I scooped with my mini- ice cream scoop. So, if you are concerned about looks, you might want to roll these. My kids didn't really mind the ones with rough edges. These also freeze well. We ate them right out of the freezer for a couple of days. 2. Mix the peanut butter, sugar, egg, salt, and baking soda together in a bowl with a wooden spoon until smooth. 4. Using a spoon, get about 1 Tbls of dough and form it into a ball. (I used my mini ice cream scoop). Place the balls 2 inches apart on the baking sheet. Press down the tops of the dough balls, slightly, with your fingers. 5. Bake for 12-15 minutes. Remove pan from oven and let cookies rest for 10 minutes on cookie sheet. Remove to wire rack and let cool completely. I saw this really cute dinner idea in a recent issue of Parents Magazine. It was called Dinner and a Movie and this was the tagline-"Rent Ratatouille, then have kids try the veggie side along with crispy tofu triangles". Ratatouille is the title of a Disney/Pixar movie that was released in June 2007 that has a lot to do with food and cooking. It is pretty cute- I remember going to see it in the theater when it came out. So, this idea sounded fun to me. This take on Ratatouille is as easy as they come. The whole thing is ready in a matter of minutes. I kind of spaced the fact that this magazine is geared towards small children and expected this meal to have more flavor. It was a little bit bland for me. If I made this version of Ratatouille again, I would definitely spice it up a little bit. Some of my family members really like tofu and will eat it any way I make it. Others, like my husband, do better if it is in small cubes and mixed with other foods, so they can't really tell what it is. It usually takes awhile for him to say something like "This really isn't chicken, is it?" He already knows the answer. The texture gives it away. The good thing is that the people in my family who don't love tofu will eat it and not complain too much. The crust on this tofu wasn't my favorite either, but I guess it would be good if you are trying to get a child to try tofu for the first time. So, I guess what I am saying is that I liked the idea of this meal more than the actual flavors, but forgot that it was probably geared towards small kids who might not have too much experience with lots of herbs and spices or tofu, for that matter. My advice would be to up the spices and herbs and if you have a favorite breadcrumb, cornflake, or panko coating- try that on the tofu instead. Also, if you are trying to get people excited about eating tofu for the first time, smaller pieces would probably be a great idea. The vegetables would also taste great if they were roasted in the oven with olive oil, salt, and pepper, but that would add a bit more time to the preparation of the meal. 1- Chop basil. Heat 1 Tbls oil in a skillet on medium heat. Add onion and cook for 3 minutes, then add eggplant, zucchini, sweet peppers, and 3 Tbls water. Bring to a boil; reduce heat and simmer, covered, for 5 minutes. Stir in tomatoes, basil, salt and pepper; remove from heat. 2- Meanwhile, cut tofu crosswise into 1/2-inch thick square pieces and slice into triangles. 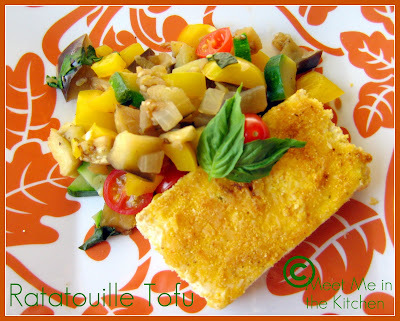 In a bowl, mix polenta and cheese and coat the tofu with it. 3- Heat 1 Tbls oil in another skillet on medium-high. Add tofu; cook for 2 minutes per side or until browned. For some reason it just felt wrong to make risotto over the summer. Too hot + lots of stirring (you don't really have to stir constantly) = too much time inside by the stove. I found this risotto recipe over the summer when I was flipping through some of my mother-in-law's old magazines. As soon as we had a cooler day, this risotto found itself on the menu. The thing I love most about risotto is that you can use almost any grain you want. You don't have to use rice. This makes risotto seem a little bit healthier to me, when you can use a whole grain. And I love risotto because it is delicious, obviously. 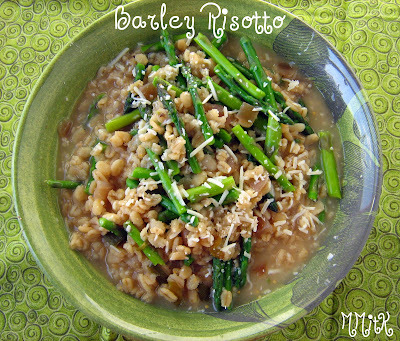 I have made risotto with barley before, well actually twice- Barley Risotto with Kale and a Three Grain Risotto- which combines arborio rice, instant barley, and quinoa and coincidentally, has asparagus to go along with it. This was fabulous. My husband asked me if I had taken a picture of it when he was sitting at the table eating. I asked him why he was so worried about it and he said "this is good!" So, there you have it. The man who loves McDonalds with a passion, loves barley risotto too. *notes- whenever a risotto recipe calls for wine, I just sub an equal amount of chicken broth for the wine. I used instant barley for this risotto. This week's Tuesdays with Dorie selection was Cottage Cheese Pufflets, chosen by Jacque over at Daisy Lane Cakes. You can find the recipe on her blog. 1- I made 6 other desserts on the day I made these- blondies, cupcakes, angel food cake, etc. and these cookies just happened to be the fussiest of the bunch. By the time I got around to rolling them out I was already exhausted and ready for my bake-a-thon to be over. 2- They were super sticky and required lots of chilling and re-chilling time- once again, not what I was looking for on a day when I was in a hurry to get loads of things baked. And since my brain was frazzled I completely spaced the whole idea of using flour to help with the rolling and cutting. 3. I accidentally baked them at 350 degrees instead of 400 degrees. They didn't puff much and took forever to become slightly golden. A few days later I realized that I had been baking all day and didn't change the temperature of the oven. So, I am guessing the lack of temp might have affected how they looked and such. All that being said, I still had compliments on the taste and I am thinking that if I made them again with the right conditions, I would probably have a better experience. I filled mine with raspberry jam. See what the other TWD Bakers thought by checking out the TWD Blogroll. On a side note- I was tagged by Tracey, so here you go! 10. J – January or February? February- closer to winter being over! 21. U – Unknown fact about me? Probably almost anything?! This is my new favorite food. Nancy, shared the link for Mexican Street Salad from Jamie Oliver, when I sent out a tweet asking for ideas for side dishes to take to a dinner at my MIL's. She said she was going to make it that night and I have to admit, after looking at the beautiful picture of all the colors and veggies, I was intrigued. I decided I was going to make it and take it as a side dish for this dinner. Nancy told me that she and her husband enjoyed it but that it had a little bit too much heat for some of the other people that tried it. When I made it, I decided to cut back on the jalapenos a little bit, so that it would be crowd/kid friendly. 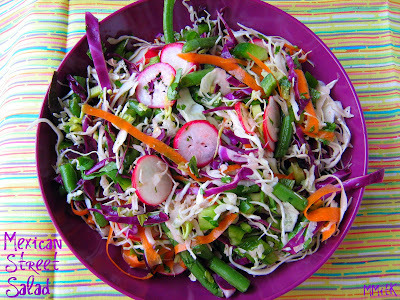 It is made with white cabbage, red cabbage, carrots, radishes, cilantro (fresh coriander), jalapeno, red onion, and then dressed with lots of fresh lime juice, a little olive oil and sea salt. Jamie also notes that whatever veggies are in season would be a great addition to this salad. So, I added 1/2 of a finely diced green pepper, chopped fresh green beans, and the celery hearts with their leafy tops that I was saving for soup. I also shredded my carrots, so they would be the same thickness as the cabbage. I used angel hair coleslaw mix, which comes in a bag by the lettuce, because it is very finely shredded and easy to use. I left out the red onion to reduce the heat a little bit and added a sprinkle of garlic powder and cumin. The fact that this takes literally minutes to throw together is wonderful, but it is also one of the most delicious things I have tasted. The simplicity of the lime juice/olive oil/ coarse salt dressing (kind of) just really brings out the great flavors of the cabbage and other veggies. The radishes add a nice touch of heat. When I was mixing this up, I took a bite and was blown away. It was soo good. I took it to the dinner, to share, and the kids, as well as adults, loved it. I actually made a very large bowl of it saturday night and ate it for dinner while everyone else was eating pizza. I had some last night and will have some today too. I know Nancy has made it again as well. The great thing about it is that you can make it super spicy and hot if that is what you like, or you can hold back a little bit on the spice depending on how much jalapeno and red onion you use and totally make it great for whatever taste you prefer. And it is so fresh. I am lucky to have great friends. I have multiple best friends and I feel really blessed. One of these friends is Jaime. She lives here in Georgia and we have been friends since our oldest children were just babies. That is actually how we became friends. We both had babies that were a couple months old and we were both stay-at-home moms, so we started walking everyday with our little ones. We just really connected and have been good buddies ever since. Over the years we have stayed in touch, even though for some of those years we lived miles apart, and we were both really excited that I was going to move back across the country. We now live about 40 minutes from each other and each have 3 children that are the exact same ages. Our kids love each other, so it is really fun to get together. Anyway, the reason I am telling you all this, is because Jaime wanted me to make her a birthday cake. Her b-day was back in April, so I missed it, but I knew when the right cake came around, I would make it for her and call it her birthday cake. Jaime also really, really loves her chocolate. When I saw this months selection for The Cake Slice- Triple Chocolate Fudge Cake, I immediately knew this was Jaime's cake. The cake uses mayonnaise as the secret to its moistness and if ya'll know me, you know I do not in any way, shape, or form like mayo. I have never bought real mayo. I occasionally, sparingly use fat-free mayo (which was not allowed in this recipe), but the key words there are occasionally and sparingly. So, when I was out buying the ingredients for the cake, I actually bought a very small jar of authentic mayo. 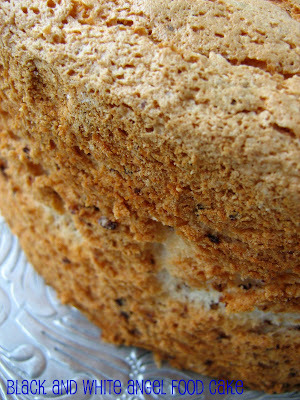 The cake is spiced with a little bit of cinnamon and also uses some hot coffee for flavor. I left the coffee out and just used hot water, because I figured the hot liquid is what it really needed, not so much the mocha flavor- I don't do mocha. 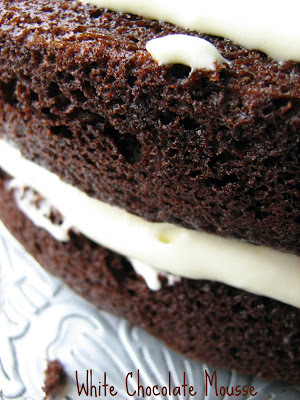 The moist chocolate cake layers are filled with white chocolate mousse and then a rich, satiny sour cream chocolate frosting is spread on top. I assembled the cake, let it sit in the fridge for awhile, and then we set out on our trek to Jaime's house. I will be honest. I was really scared. I was scared that the cake wouldn't make it through the 40 minute drive on a Sunday afternoon. It wasn't too hot outside, really, but I was petrified none the less. Good thing I had let the cake sit in the fridge for awhile, because 5 minutes before we got to Jaime's house, the top layers slid just a tad and the white chocolate mousse broke through the frosting. We made it to her house with the cake in one piece and she LOVED it! 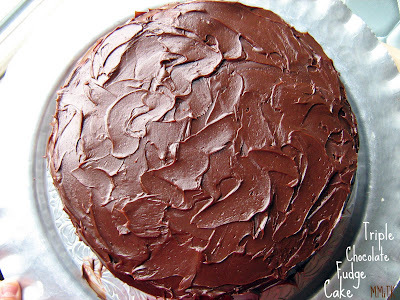 Chocolate lovers- you will love this cake. I thought it was ok- but it was a bit of chocolate overload for me. The frosting wasn't very sweet at all, and a few people weren't too excited about that fact, but still it was gobbled down with the help of some vanilla ice cream. I left the cake at her house and she was able to enjoy the leftovers. If you want to see other variations of this 3 layer beauty check out The Cake Slice Bakers! Happy Birthday Jaime-5 months later! This is the last cake that we will be baking from Sky High: Irresistible Layer Cakes, the book we have used for the last year for The Cake Slice. Next month we will start baking out of Southern Cakes by Nancie McDermott. Preheat the oven to 350 degrees F. Butter the bottoms and sides of three 9 inch round cake pans. Line the base of each pan with parchment. Sift together the flour, cocoa powder, baking soda, baking powder, cinnamon and salt. Set aside. Put the chocolate in a large heatproof bowl. Bring the milk to a simmer. Pour the hot coffee and milk over the chocolate. Let stand for a minute, then whisk until smooth. Let the mocha liquid cool slightly. In a mixer bowl, beat together the eggs, mayonnaise and vanilla until well blended. Gradually beat in the sugar. Add the dry ingredients and mocha liquid alternately in 2 or 3 additions, beating until smooth and well blended. Divide the batter among the 3 prepared pans. 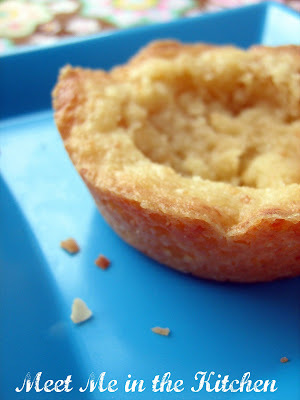 Bake for 25 to 28 minutes, or until a cake tester inserted in the centre comes out almost clean. Let the cakes cool in their pans for 10-15 minutes before un-molding onto a wire rack and carefully peeling off the paper. Leave to cool completely. 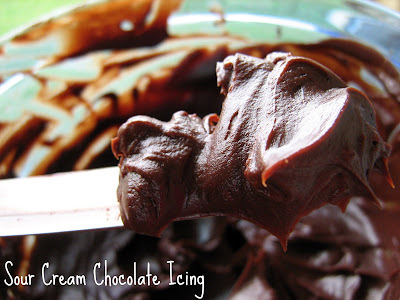 Melt the chocolate with the butter and corn syrup in a double boiler over barly simmering water. Remove from the heat and whisk until smooth. Whisk in the half-and-half and sour cream. Use while still soft. Place one layer, flat side up, on a cake stand or serving plate. Cover the top evenly with half the white chocolate mousse, leaving a ¼ inch margin around the edge. Repeat with the second layer and the remaining mousse. 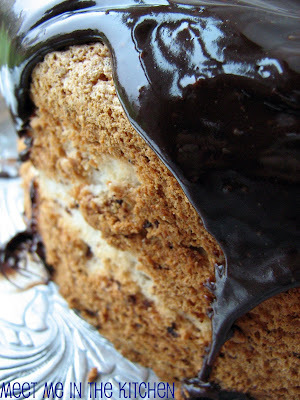 Set the third layer on top and pour half the sour cream chocolate icing over the filled cake. Spread all over the sides and top. Don’t worry if some of the cake shows through. 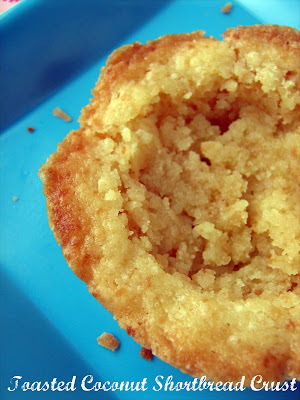 This first frosting is to seal in the crumbs, and is known as a crumb coat. Refrigerate the cake for 30 minutes. After this time cover the cake with the rest of the icing, smoothing it down the sides. It should be the consistency of mayonnaise. 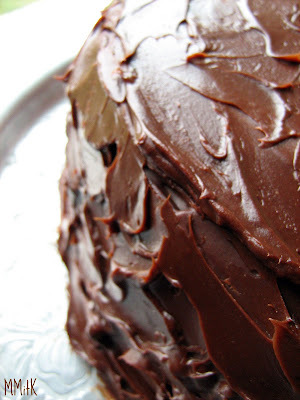 Use a palette knife or the back of a spoon to swirl the frosting around the cake. 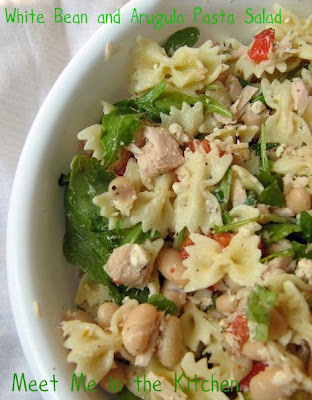 Do you ever get tired of the same old pasta salad type dish? I know I do. I made this in the heat of the summer. I didn't want to turn on the oven, I wanted something that would be ready in a matter of minutes, and I wanted it to taste good. I saw this recipe in the August issue of Southern Living Magazine. I was at the library with my kids and was thumbing through it- the picture just looked really good, and besides, sometimes you just want a dinner or dish that is easy-peasy. This is a variation of the recipe, that was provided- which added a couple of cans of tuna, in my mind turning it into an acceptable main dish. I had most of the items on hand, which was another plus. The original recipe called for sun-dried tomatoes, but I didn't have any, and my husband thinks tomatoes are poisonous, so I decided I preferred that he live, so I just chopped a red bell pepper and called it good. I usually only use whole wheat pasta, but when we were unpacking our food boxes that we brought from Utah, I found a box of the cute mini bowties, so I used those. I love the arugula in this, which adds a nice little peppery bite, but you could also use spinach. The feta could also easily be swapped out and you could use chickpeas instead of white beans. I couldn't remember the exact name of the recipe when I did my picture, but when I found the recipe later at myrecipes.com, I realized that I messed up the name a little bit. Oh well, you can call it whatever you want. All I know is that it was easy, tasty, and left us feeling quite satisfied. These are the little meatballs I used to bribe my family a couple of weeks ago. I saw them this summer in Redbook Magazine, when Giada De Laurentiis was featured and she shared some of her favorite recipes. I ripped out the page and put it in my 3-ring binder and tried to work it into our menu. I decided to serve these alongside the Farmland Vegetable Pie, to round out the meal. The kids used toothpicks to eat these and they were really flavorful. I don't usually measure the ingredients that accurately when I make meatballs. I just throw all the ingredients in a big bowl and I can usually tell when the consistency is right. 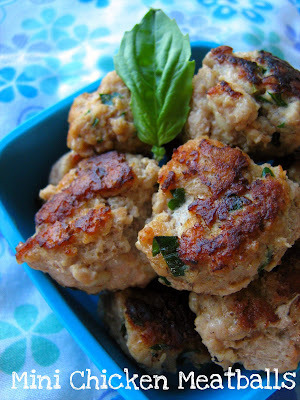 I changed a couple of things- like I only used 1 egg instead of 2, I used 93% lean ground turkey, I used skim milk instead of whole and grated Parmesan cheese in the meatballs. They were bite-size, which made them perfect for toothpick stabbing. My kids really liked them and so did my hubby. I liked them too. In a medium bowl, stir together breadcrumbs, parsley, egg, milk, ketchup, Parmesan cheese, salt, and pepper. Add the turkey and combine well. 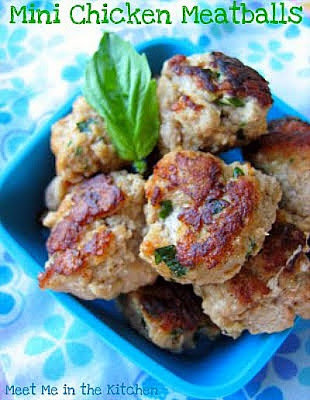 Use a melon baller (or a teaspoon measure) to scoop the mixture; roll the seasoned chicken into 3/4-inch mini meatballs. 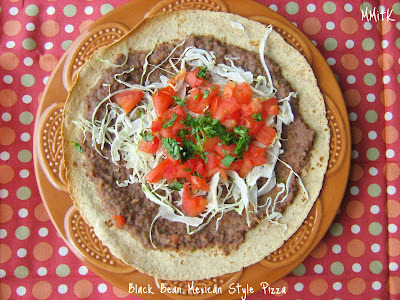 The recipe for Craving Ellie in My Belly this week was Black Bean Mexican Style Pizza. This recipe was chosen by Joanne and you can find the recipe over at her blog- Apple Crumbles or by clicking on the link at the bottom of this post. Joanne amazes me every week because she cooks so many variations of each recipe to satisfy the people in her family. Make sure you check out her blog. 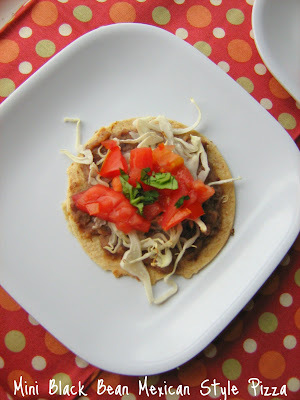 I was excited to try this recipe because the black bean dip that you use as the spread for this pizza sounded really tasty. I made these for dinner last night and luckily, Kayte made them for lunch, so she tweeted about how good they were, just the way the recipe was written. Since she raved about them as is, I didn't change anything about these when I made my first batch. I even got out my little cookie cut and made tiny little tortilla circles and I think this would make a great appetizer or party dish. Very delicious. I could not keep my fingers out of this black bean dip. It was good. Plus the whole thing took maybe 20 minutes to make- blending up the dip, throw the pizzas together, cook and clean-up. I can handle that. For my hubby and kids, I added some shredded chicken before I put the cabbage (I used angel hair coleslaw from the bag, which is just cabbage, but already thinly sliced) on top and then melted a little cheese on top. No complaints from any of my family members. They actually really liked this dinner too. I will be making the dip again and hope that maybe there will be some left to make another pizza. I am not making any promises about that. 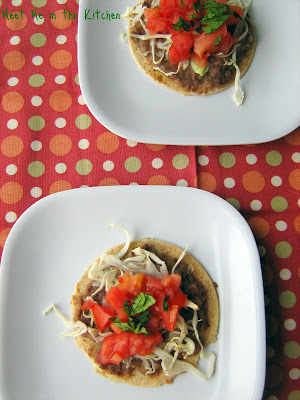 Go to the CEiMB Blogroll to see what everyone else thought about these Mexican Pizzas! There always seems to be an overabundance of one part of the egg in my fridge or freezer. I either have a bunch of yolks that are hanging out or I have tons of whites that I am not sure what to do with. At the moment I have 14 egg whites in my fridge, some of which I recently took out of the freezer- angel food cake is in my near future, but more about that later. 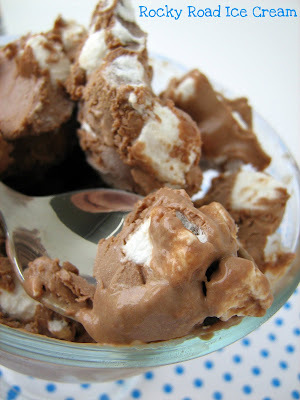 I don't really know for sure how I decided to make this Rocky Road Ice Cream, but I wanted to try David Lebovitz's chocolate ice cream and some how when I saw the option at the bottom of the page to mix in some mini marshmallows and roasted peanuts or almonds, it just sounded like a fun option. 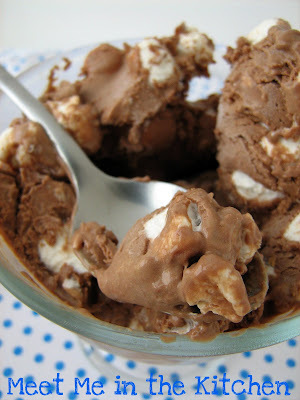 Rocky Road just makes me feel like a kid. I had the egg yolks ready, so I mixed up the custard. 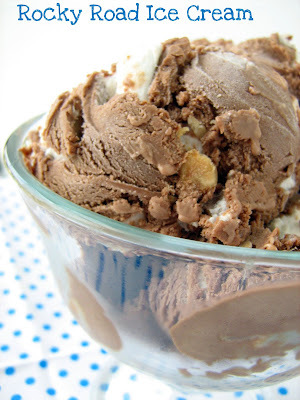 This ice cream uses both cocoa powder and melted chocolate to give it a very rich chocolate flavor. I opted to use semi-sweet chocolate, because I didn't want the chocolate flavor to be too dark. I knew this was going to taste better than store bought ice cream, but I wasn't prepared for how delicious this was. The chocolate flavor was amazing and the bites that had the slighty salty peanuts or the fluffy marshmallows were even better. My kids went crazy over this one. They couldn't wait to try it and certainly didn't want to wait until it had firmed up in the freezer. 2. Warm the milk, sugar, and salt in the same saucepan. In a separate medium bowl, whisk together the egg yolks. Slowly pour the warm milk into the egg yolks, whisking constantly, then scrape the warmed egg yolks back into the saucepan. 3. Stir the mixture constantly over medium heat with a heatproof spatula, scraping the bottom as you stir, until the mixture thickens and coats the spatula (and reaches 170 degrees F on an instant-read thermometer). Pour the custard through the strainer and stir it into the chocolate mixture until smooth, then stir in the vanilla. Stir until cool over an ice bath. 4. Chill the mixture thoroughly in the refrigerator, then freeze it in your ice cream maker according to the manufacturer’s instructions. (If the cold mixture is too thick to pour into your machine, whisk it vigorously to thin it out.) 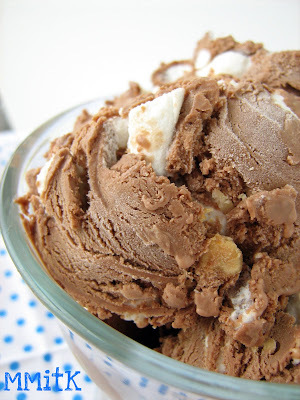 Once the ice cream has finished churning, fold in the marshmallows and peanuts.